front of the World or want to experiment something new in Life? Reason for starting a YouTube channel could be anything from casual to professional needs. If you are right now at the first step, here are few tips for YouTube beginners. not be published without editing at any cost to avoid embarrassment. editors. You want quick solutions at the beginning with the minimal learning curve. Also, pricing should be as low as possible so use Movavi discount coupon to save your budget. viewers expect a regular dose of content. promise to yourself to follow it. content. I suggest that you must have video titles for at least a month ready in advance. It’s not about the camera you use but the content you present. Mostly, people get deluded by the fancy cameras out there. They think that the best camera in the market would give the best output but that’s not true. It’s 2019 where movies are recorded on cellphones. Smartphones have great cameras today which includes features like optical zoom, image stabilization, and noise cancellation too. Marketing is as important as creation or probably more. The content you produce should be optimized in accordance with Search engine rules. Starting with the video title- “My Vlog Episode #1…” sound okay but it doesn’t give any hint to viewer or search engines. Title of the video should be specific and should describe what is in your videos. Description of the video should be as brief as possible as text inside this space is considered for finding relevancy and understanding more about the video. out videos published by other channels on the same topic. 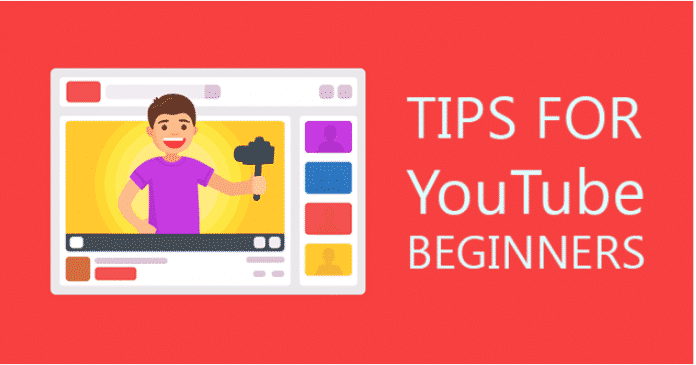 You can use SEO tools for YouTube ranging from sniffers to Keyword revealers which come in the form on standby application or Chrome extensions. A quick way to get disappointed in comparison. You are just starting up the journey so don’t let yourself compare it with someone who has reached a milestone in their career. and views. However, don’t forget that even they started the journey from zero. Instead of getting disappointed and jealous, you can look at their channels as an inspiration. improve yourself and deliver more awesome content. newbies can stand out in the search result and grab the attention of the viewer. with bright colors and utilize that small image to attract eyeballs. editing, make use of online tools to get it done. the thumbnail. If these are not compelling enough, they won’t make people click on your video. gain more CTR (click through rate to your videos) and rank higher in search results. viewers in comments and engage them with quality content. spread your name among the community and exposure to their viewership.